As we draw closer to the Listen To Your Mother show here in NYC the theme of COMMUNITY has, of course, been prominent in my mind. This is a prompt I think I'll come back to. The results are beautiful and I bet we'd do more with another crack at it. 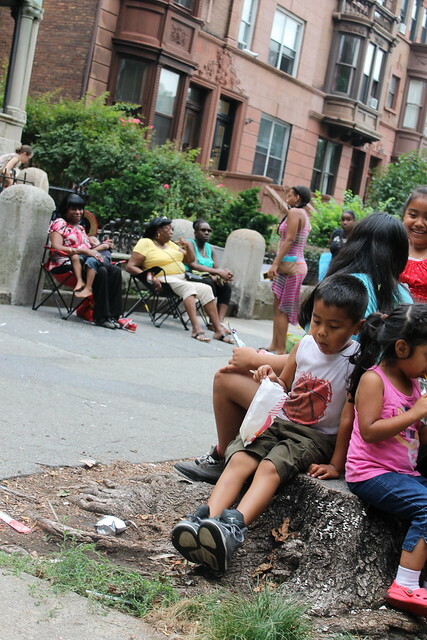 Our Bethany moved away from my neighborhood shortly after this photo was taken. Having this shot in the challenge and meeting her for a drink on Friday are both bittersweet. 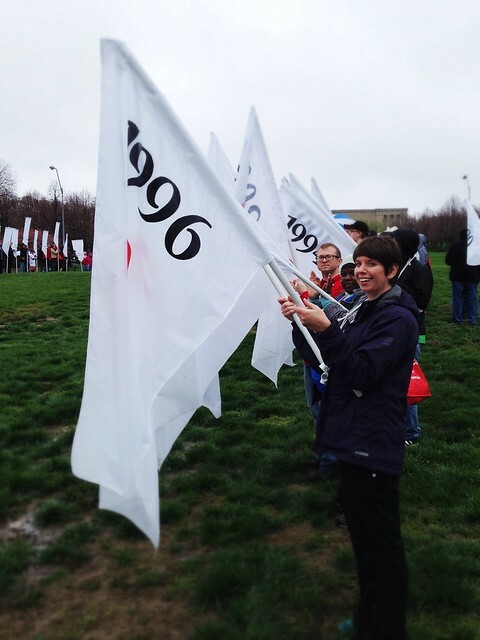 Our Cindy was chosen to carry one of the flags in her local AIDS walk. She's the perfect person for that kind of honor. I have no idea what's going on here in Our Ana's community but I love it! I want a mask and a tambourine and a place to wield them both. 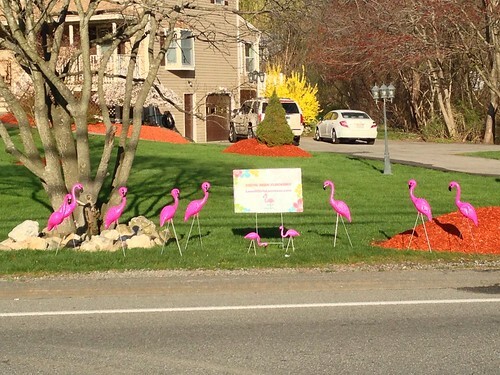 The sign captured by Our Janet reads, "You've been flocked." Apparently it's a prank of love. Well, sure! 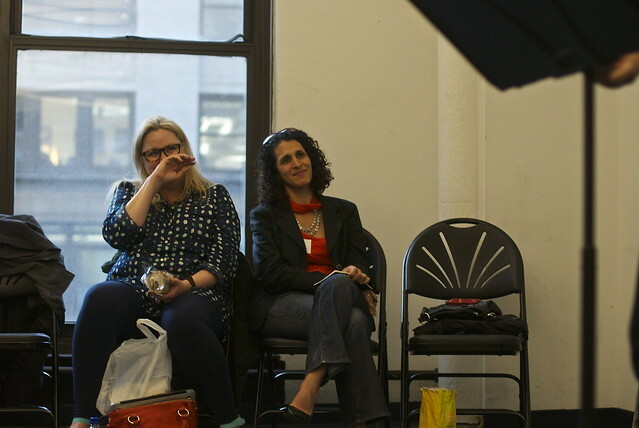 The woman on the left in my recent rehearsal was tired, hungry, and discouraged when she arrived. By this point, she'd turned it around and gotten the giggles. Please enter by 9am Tuesday May 21st for posting on May 22nd. Tag your photos with PHOTO CHALLENGE and ART. Check out the wonderful work in our Flickr Pool for inspiration. Also, let me know if you have questions. what a great collection! Flocking ... erm, not sure I'd want to be but betting the recipient loved it :). 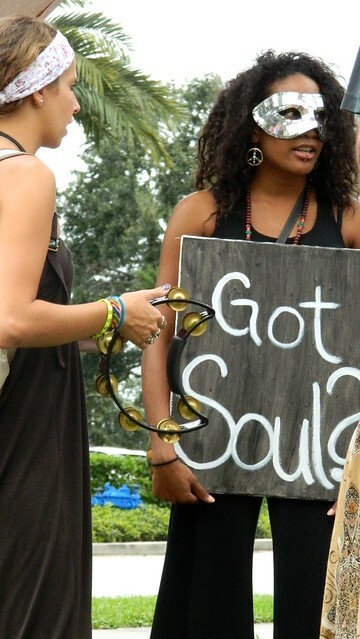 Got Soul ... yup. Love.